The lack of licensed labs was one of several factors that have delayed the rollout of retail pot sales. BOSTON — The first retail marijuana stores in the eastern United States moved a major step closer to opening on Thursday when Massachusetts regulators approved licenses for two independent testing labs. 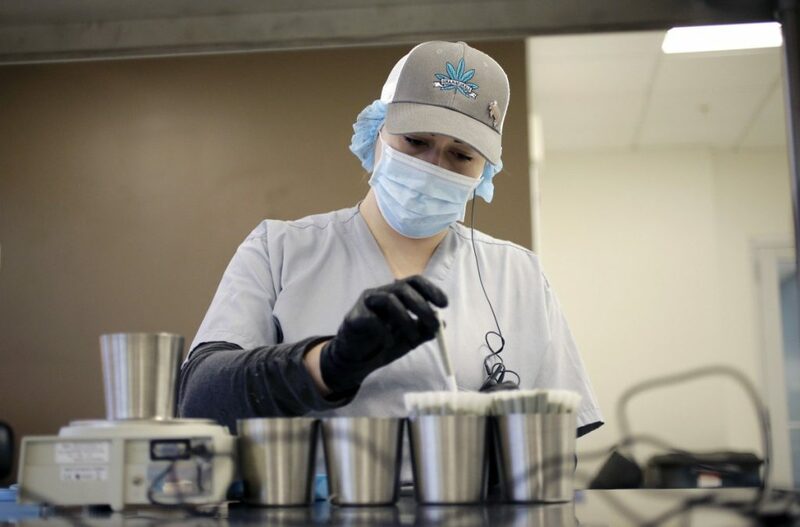 The state’s voter-approved recreational marijuana law requires all cannabis products be tested for contaminants and the concentration of THC – the psychotropic chemical in marijuana – before they can be sold to consumers. The lack of any licensed labs had been among several factors delaying the rollout of retail sales, which had originally been targeted to begin July 1. The Cannabis Control Commission voted to license CDX Analytics of Salem and MCR Labs of Framingham, pending final inspections and other conditions. Recreational marijuana is legal in nine states and the District of Columbia, but retail outlets have opened only in western states so far. Vermont and Washington, D.C., allow adults to legally possess marijuana for recreational purposes, but their laws do not permit retail sales. “The local approval process is the mother of all barriers to entry and if you talk to anyone in the business they will tell you about it,” said Commissioner Shaleen Title, who pushed her colleagues on the board to authorize the review process. The commission rejected Title’s motion on a 4-1 vote. Steven Hoffman, the panel’s chairman, maintained it was unclear whether it had the legal authority to review and enforce host community agreements, suggesting it was up to state legislators to clarify the law. “This isn’t about avoiding lawsuits, it’s about doing the right thing,” Hoffman said.